If your ears have an unusual shape, are too large or stick out, it can lead to insecurities about your appearance. As if low self-esteem is not bad enough, you can also become the target of bullying. 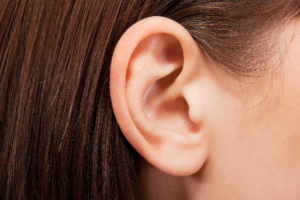 To improve the size and shape of your ears, otoplasty in Chicago can help. Although it is best to have the procedure performed during childhood to avoid being teased (i.e., Dumbo ears), it is never too late for the surgery. Dr. Gary Wiesman, board certified in both otolaryngology and facial plastic surgery, performs otoplasty on patients of all ages. Otoplasty is often recommended to correct certain defects of the ear structure. Defects that are present at birth can become more noticeable with age. However, the defect can also be caused by an injury that leaves the ears deformed. Whatever the cause of the defects, they can be corrected with surgery. Dr. Wiesman can resolve several concerns with the appearance of the ears, from disfigured or protruding ears to ears that are too large. The procedure can also increase the size of the ears when they are too small or do not have a curve in the cartilage. If your ears have been damaged by stretching or you have torn earlobes, they can also be repaired and returned to their youthful shape and size. The procedure can also remove wrinkles or creases in the earlobes. Although it is never too late to undergo the surgery, it is recommended that children have the procedure before starting school to avoid being teased or bullied. If they also suffer from hearing loss, they may need more specialized care from our audiology department while undergoing treatment. Teenagers and adults can benefit from the surgery as well. It is never too late to feel confident and look your best! If you are ready to improve your self-confidence, it is time to see whether otoplasty is the right procedure to correct the appearance of your ears. Dr. Gary Wiesman will perform a comprehensive examination to create a customized treatment plan. With a tailored approach, the size, shape and proportion of your ears will be improved so that you will no longer feel self-conscious about showing your ears. Dr. Gary G. Wiesman is a board-certified otolaryngologist specializing in surgeries of the ear, nose and throat. In addition, he has furthered his education to become a facial plastic surgeon. Supported by more than 25 years of experience, he has the qualifications and skills necessary to perform otoplasty on patients of all ages. If you are interested in learning more about the procedure, contact Wiesman Nasal & Sinus today to schedule a consultation.